Align field operations with business strategy with real-time insight into the location and usage of assets, equipment and vehicles with tight Esri ArcGIS integration. Help your fleet work smarter with real-time visibility and easy-to-use reporting, analysis and management features. Accurately and efficiently track hours of use and mileage. 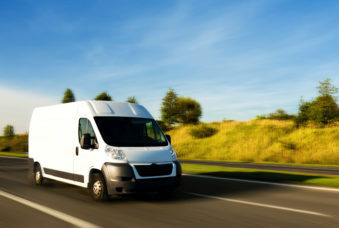 Leverage telematics to optimize your fleet, connect with your mobile workforce, improve overall productivity and minimize unscheduled downtime. Quick, visual reference of key performance metrics generated by your equipment and vehicles. REAL-TIME TRACKING: Displays current location and status, along with address, sensor, AEMP feeds and other attribute information. Generate standard and custom reports in both tabular and graphical formats based on archived vehicle location and status data. Reports may be produced for selected assets, equipment and vehicles according to time, location and status criteria. BREADCRUMBS AND BREADCRUMB REPLAY: Provides a detailed trail that illustrates the path taken by a fleet asset. View a historical “replay” of an asset’s trip and its activity history at various speeds. Replay controls allow users to play, pause, rewind and fast forward to review movement. Alerts keep you and your team informed about things you need to know immediately such as when equipment or vehicles are being moved from one location to another, an ignition turned on after hours, excessive hours of use, and required maintenance. Real-time notification when your fleet enters or leaves work zones, off-limits areas and locations of other interest. Construction sites are getting smarter. 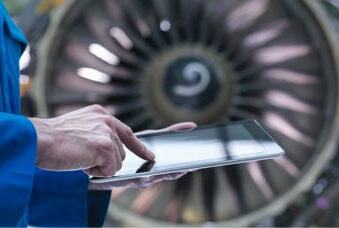 Cloud-based solutions help integrate the data. Using telematics information to manage mixed fleets. Learn the three core advantages to the DaaS model and how CalAmp DaaS helps you better optimize your resources. Maximize productivity, improve driver safety and keep fleets well-maintained with industry-leading fleet management solutions. Reduce costs and improve response times with real-time view of vehicles, advanced analytics and smart vehicle technology.